Welcome author Matt T. Schott! Q.Do you work another job when you are not writing? A. I’ve been a Union electrician in NY for 27 years. Q. What is your favorite thing to do when you are not writing? Q. What is your favorite color? Why? A. Blue, I’m afraid to analyze why it’s blue. Q. What is your favorite season? Why? A. Fall, I live along the Delaware river in New York. For two weeks in October the landscape becomes candy-land. Q. If you could live anyplace on earth, where would it be? Why? A. In a mansion. I haven’t traveled enough to settle for one place. Q. If you could have any car, what would it be? A. A 1934 Ford modernized with a few “James Bond” features. Q. How long have your been writing? Was it a dream, a goal or is it just a hobby? A. I’ve written stories since I can remember an telling them even longer. Q. How many hours a day do you devote to writing? Do you have a set routine or do you write when the mood strikes? A. I wake up at four every morning. I write until 7 or 8 in the morning. The weekends I usually write an hour or two more. I don’t always stay on the same project or work on a different aspect of the book. Q. Is there some place special you like to be when you write? Q. Do you listen to music or do you need a quiet place to write? A. I listen to new age or opera when I write. Q. What is the name of it and is it part of a series or a stand alone novel? A. Lord Skyler and The Earth Defense Force, the first of three books. Q. Where did the idea come from? A. Every Thanksgiving I would have the same dream. I think it was the smell of the turkey that sparked it. Aliens landed and made all the parents in my neighborhood mine High-Tor mountain. Then they left. Q. How long did it take to write? A. It took me 15 years to write. I was never good at spelling or grammar. I would read The Elements of Style then rewrite then I would reread The Elements of Style again and rewrite again. I used other “How to write books” and writer’s magazines to learn tricks of the trade. Q. What is it about? A. My book is an Action-packed Space Adventure. When the Titans invade to harvest Earth the Flarconeans stop by first an abduct a couple hundred young Humans. The Flarconeans train them to fight the Titans for a year before they return to take back Earth. Teenagers are thrown into the responsibility of saving the Human race. They also stumble on a incredible weapon they could turn their friends into enemies. Q. Do you have any upcoming projects in the works or other books that have been published? A. The sequel is a rewrite and a pro edit away from being done. I have a short story out on Kindle called, “A Program Thicker Than Water” I have a hundred notebooks with ideas for stories. Q. Where can readers connect with you? A. I have a Lord Skyler and The Earth Defense Force page on FaceBook. Q. Where can we buy your books? A. Amazon, Barnes & Noble, and 33 other online book stores. Jacob,Doug and Terry are American teenagers. Jacob is into high school baseball. Doug studies karate and Terry plays the bagpipes like his father before him. The boys encounter a bright light on the way to the movies one night and their adventure began. Lord Skyler and the Earth Defense Force is about the bonds that people make during desperate times. The boys discover the secrets to space travel and the real political universe and how vulnerable Earth is. Q. Do you work another job when you are not writing? A. Not technically, since I am currently a housewife with a baby daughter. Q. What is your favorite thing to do when you aren’t writing? A. I enjoy reading! With a glass of red wine and a bar of chocolate. A. My favourite colour at the moment is purple. It reflects my spiritual journey. A. I don’t really have a specific favourite. I enjoy summer for the long, cheerful days, but I enjoy winter when we can cosy up at home and look forward to Christmas. A. I would live in a cottage on the coast of Cornwall, England. It has a rich heritage of mystery and intrigue, and the scenery is spectacular. There are lots of tourist places, but also lots of hidden gems waiting to be discovered. A. I have always wanted a yellow Lamborghini. A. I have been writing properly now for just over 2 years. As a child I dreamed of being an author, but always thought I wasn’t capable. Now I have realised my dream, and I intend to make a career out of it. A. I usually write in the evenings, when my daughter is in bed. At the moment I am only managing about 4-6 hours a day, but I plan to improve on that, and I am trying to implement a routine so I can ensure my work is completed. A. No. I dream of having my own study, with walls full of books, and my own desk where I can hide away and create my masterpieces. For now I have my laptop on the dining room table! A. I tend to have the radio on for background noise, but I don’t really need anything specific. I soon disappear into my fictional worlds. A. 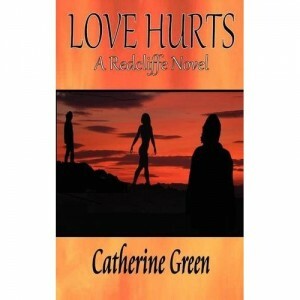 My debut paranormal romance novel is called Love Hurts. It is set in the fictional Cornish seaside town of Redcliffe, and is the first in a series I will collectively call The Redcliffe Novels. A. I’m not sure exactly. I was always fascinated with vampires, so when I was a teenager I started to develop my own story after reading LJ Smith’s Nightworld series. Then my story sort of grew, but I kept it in my head for ten years. A. 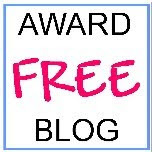 It actually took me about eighteen months to write, and that was while working full time. A. I am currently editing a standalone novel entitled The Darkness of Love. This is a vampire story set in Victorian England. It tells the story of Marcus Scott, who features in Love Hurts. This one tells the story of how he became a vampire. I am also editing the sequel to Love Hurts. This is called Love Kills, and will continue Jessica’s journey into the paranormal ‘underworld’ of Redcliffe and the man she loves. Aside from my novels, I have two short stories published in Young Adult anthologies. The first book is called Devils, Demons and Werewolves by Bridgehouse Publishing. My vampire story is called The Teen Game and is published under my maiden name, Catherine Hargreaves. The second anthology is called The Mirador Fantasmagoria by Mirador Publishing. My werewolf story is called My New Master and features Redcliffe characters. A. Everywhere! No, seriously, I have a website which is http://www.catherine-green.co.uk and I am on Facebook and Twitter. See my blog as well at http://www.spookymrsgreen.wordpress.com. A. 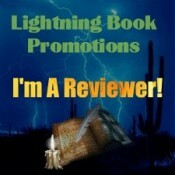 All my books are available on Amazon, see my author page for the links. The books are available in paperback and eBook formats, and can be found in the UK at Waterstones book stores, or available for order from any independent bookseller. He grabbed my shoulders, staring directly into my eyes, and I gasped, shocked at his forcefulness. I nodded, feeling sick with nerves. He relaxed slightly and eased his grip on me. I nodded and Danny left, saying he would call Jack on the way.